Easton Slab & Foundation Leak Repair in Easton, PA The Leak Repair Plumbers! When a home is built, the plumbing is intricately designed and installed so that it seamlessly moves through the structure. Upstairs sinks and toilets use the same water supply as the laundry and kitchen sink. Those pipes often run through walls, and even floors. However, many pipes also snake under your foundation, such as the main line allowing waste water to exit your home and into the local sewage supply. If you suspect a foundation leak, it stems from a plumbing issue. What is a Foundation Leak? A foundation leak is a cracked or broken plumbing pipe under your foundation. Typically a concrete slab, your foundation lies on compacted soil. Over time, the foundation may develop some slight cracks, allowing any water flowing from a cracked pipe into the concrete slab. Because concrete is porous, it slowly absorbs this moisture. Your home may begin to show signs of foundation leak damage. Because of the ground moisture, the home shifts on its concrete slab. Doors and windows may not close correctly, for example. Cracks snaking down your walls appear out of nowhere. 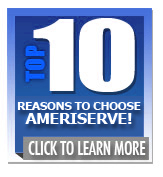 If you see any of these signs, contact AmeriServe as soon as possible. We can evaluate the damage and discover your foundation leak’s origin. 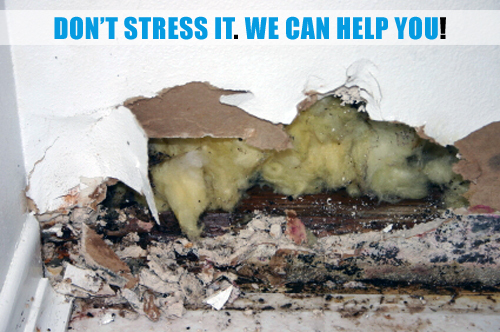 Allowing the structure to settle even more leads to extensive and expensive damage. If your pipes have an excessive amount of debris buildup, from grease to hair, the water pressure on the inside walls is impressive. Over time, the water pressure causes the pipe to crack or break. This is a common occurrence for homes that do not use strainers for their sinks. An area prone to freezing can also have foundation leaks. The soil expands and contracts with freezing or warm temperatures. This movement places pressure on deep-seated pipes, causing them to crack. Alternatively, earthquake-prone areas also see foundation leak issues, especially because the movement may be both vertical and horizontal in nature. Plumbing solutions are permanent, if the system is well-maintained. For example, AmeriServe uses high-tech cameras to find the damaged foundation pipe. Because most issues are simply cracks, there is no need to resort to invasive digging. Epoxy strategically lining the pipe at the cracked location effectively forms a permanent solution. The pipe stops leaking, saving water and reducing bills. Solutions are not permanent, if poor habits are not changed. Each sink should have a strainer on the drain to prevent foreign objects from falling into the plumbing. Pour grease into a disposable container to discard it in the trash later, instead of sending it down the drain. If you continue to allow foreign items to flow down the drain, another pipe section may crack, requiring another service call. 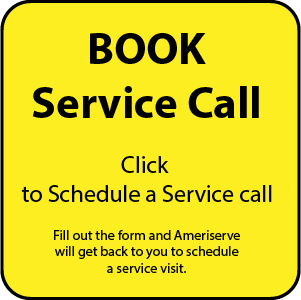 Call or email AmeriServe today at (610) 258-2591 for all your plumbing needs. 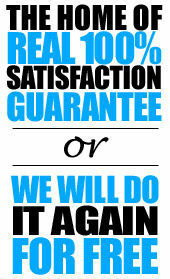 We can walk you through our evaluation and repair process so you are well-informed of the strategy. A foundation leak must be repaired as quickly as possible to preserve the structure’s integrity.